Photo: A North Korean soldier stands guard at the Korean Demilitarized Zone, Aug. 11, 2011 (U.S. Army photo by Staff Sgt. Bryanna Poulin). 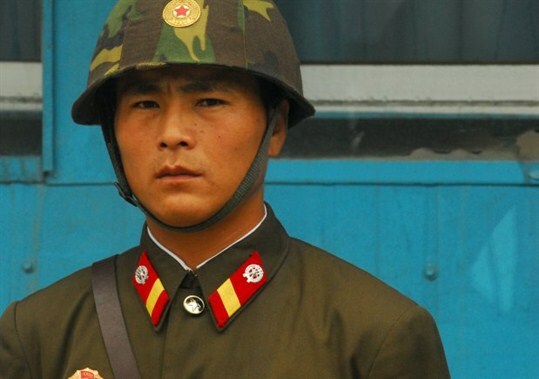 Why does the North Korean regime still exist, and how much longer will it last? These questions have been asked continuously for nearly a quarter-century, since the fall of the Berlin Wall in 1989 and the collapse of communist regimes in Eastern Europe, the People’s Republic of Mongolia and the Soviet Union itself over the following two years. In July 1994, North Korea’s founding leader, Kim Il Sung, died, and soon thereafter North Korea entered a period of famine that lasted three years and killed hundreds of thousands, if not millions, of North Korean citizens. Yet the regime carried on, through a period of limited economic reform in the early 2000s, a reversal of these reforms in the latter part of the decade and the death of Kim Il Sung’s son and successor, Kim Jong Il, in 2011.